Boyer Signs and Digital Graphics, LLC offers 2 Ground Sign options for your commercial business (Monuments, Pylons). Properly crafted and displayed appropriately, ground sign applications serve as a cost effective method for marketing your brand and business locations. Custom outdoor signage provides a great return on investment because your sign will advertise for your business 24 hours a day. High-quality signage makes a big impact on potential customers and can increase consumer traffic. 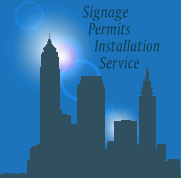 Contact Boyer Signs and Digital Graphics, LLC and find out how we can help you with your outdoor signage needs. Monuments are free-standing structural signs that can create quality curb appeal for your business. We manufacture our monument signs with either polycarbonate or coped aluminum. Both materials are of the highest-quality, durable, and resistant to hard weather. Most common sign-face styles include flat, panned, or panned embossed all of which have options for illuminated or non-illuminated structures. What makes Boyer Signs and Digital Graphics, LLC a leader in the sign industry is our ability to create custom signage that reflects the architectural elements of any building. Creating a sign that replicates the character and design of a building provides a cohesive message to potential clients and reflects positively on your company. Pylon Signs, also known as High-rise signs, are great sign solutions because they can take your marketing further. Pylons can be seen from very long distances and are usually located near freeway and highway exits. These signs are great option for companies working in heavily saturated industries such as food service, car dealerships, and gas stations. Boyer Signs and Digital Graphics, LLC has experience designing, fabricating, and installing Pylon Signs upwards of 100 feet or more. We’ve been trusted for over 40 years in the Northern Ohio Area, building structures that look amazing and outlast the competition. Call us today for more information.